Billy performs "Baby Grand" in Moscow in 1987. He sings both his part and the Ray Charles part. 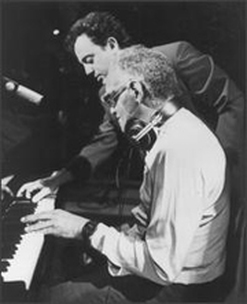 Billy Joel and Ray Charles recording "Baby Grand" (1986). Columbia Records publicity photo.